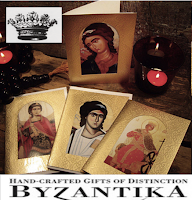 My favorite Serbian design item is of course the Sajkaca (Шајкача) the icon of Serbdom all over the world. That was also the reason why I choose it as an icon for my blog about Serbian architecture and design, there is nothing more "Serbian" that the Sajkaca! 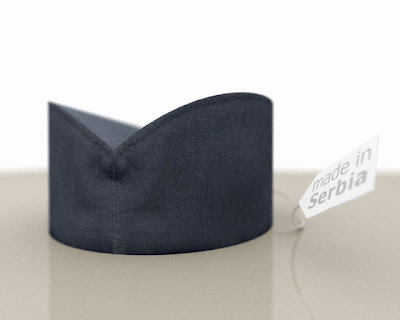 The Sajkaca is a Serbian national hat, used by ethnic Serbs since the 18th century. Orginally worn by the Serbian river fleet on the Dunav river in the time when they conducted raids agaist the turkish ocupators. The style of this caps spread quickly among the Serbian community and today it’s still wor in some national dresses of Central Serbia (e.g. Sumadija) or by peasants. The cap is of a simple but neat design. It’s recognisable by its top part that looks like the letter V or like the bottom of a boat (viewed from above). The material is usually an elaborated wool and mostly it’s of a grey-olive color. But there are all kind of types, like dark blue or black ones and there are also some made of a heavy cotton. The shape of the Sajkaca gives a typical silhouete to the wearer as the V-shape is recognizable at the first sight. 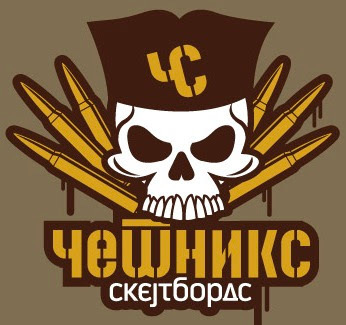 That makes it a good logo either, with two or three strokes you can draw a cap and you immediatly know it’s a Sajkaca. 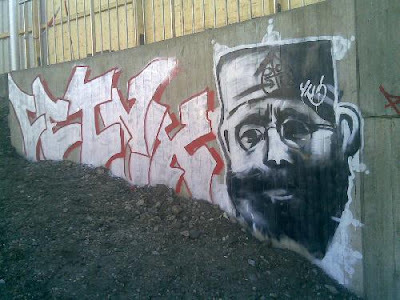 The Serbian version of Facebook "serbbook"
The hat was used by the Serbian army in the first world war. From then on the cap kept also a symbol for military units. 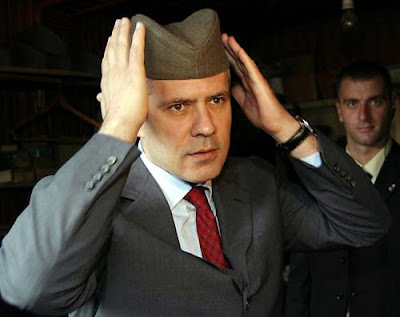 The Sajkaca exist also in a officer version decorated with emblems and stripes (like General Ratko Mladic and other military commanders wore in the Bosnian War in the 90’s). before and during the World Wars. 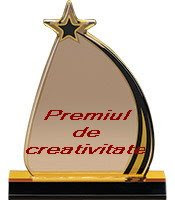 A good fonctionality and a high value of recognition make it a smart and distinctive piece of design. 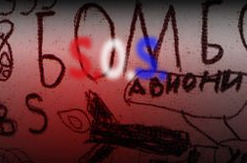 No wonder it’s used as a „brand“ for promoting Serbdom! The Serbian skater brand "Cetniks Skejtbords"
Sajkaca was given to servs by austro-hungarians when they conquered them.now it was given because austro-hungarians held(still do to this day) a tremendeous ammount of historical documents,and they told the servs about the true origins.servs came as a tribe from iran,afghanistan and turkish tribes.take a look for yourself,google iran traditional cap and youll see.